Humza Yousaf, Scottish minister for external affairs and international development, had intended to follow up on a £500,000 donation the Scottish Government made to humanitarian aid efforts in the Gaza Strip. While the Foreign and Commonwealth Office initially approved the trip, it made a volte-face citing security concerns and the fact Westminster has exclusive responsibility for the UK’s relations with the Israeli occupied territory. In a letter to Foreign Secretary Philip Hammond, Yousaf said he was frustrated the British government was effectively barring Scottish ministers from visiting humanitarian projects in Gaza. The Scottish government gave half a million pounds in aid to the United Nations Relief and Works Agency (UNRWA) Gaza Flash Appeal last year. 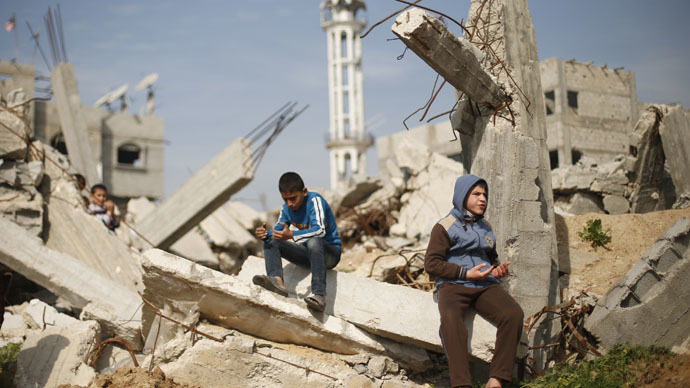 UNWRA’s emergency appeal for funding came after relations between Israel and Gaza degenerated into violence last summer. Israel’s military offensive, known as ‘Operation Protective Edge,’ saw the large-scale bombardment of the Gaza Strip. It resulted in the death 2,205 Gazans, according to the United Nations, and 66 Israeli soldiers. In his letter to the UK Foreign Secretary, Yousaf said: “Although FCO officials initially said that they were in principle able to provide support for such a visit, I have since been informed that the FCO view has changed and that the FCO would not support a visit to Gaza for two reasons. Yousaf said he welcomes an offer for the British Consul General in Jerusalem to update Scotland on the use of its aid. He asked Hammond to promise the FCO will support future visits from Scottish ministers to Gaza when the security situation improves. In a separate controversy over access to Gaza, British MPs have called on Israeli authorities to give them permission to visit the occupied territory. A motion was passed in Parliament last week calling for the British government to pressure Israel to grant MPs access to Gaza, which continues to be off-limits.